GIA has been entrusted with grading some of the world’s most famous diamonds, and brings the same unmatched expertise to grading yours. 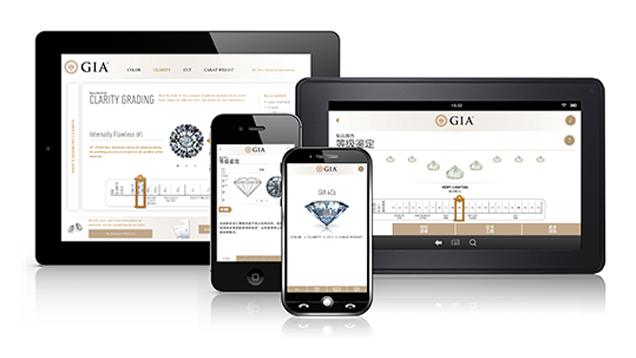 GIA screens every gemstone to identify synthetics, simulants and known treatments. Expert gemologists examine each diamond under controlled lighting and viewing conditions, in order to provide the most rigorous assessments of a diamond’s 4Cs. Since light source and background can have a significant impact on a diamond’s appearance, diamond color is graded in a standardized viewing environment against color masters. A minimum of two color graders enter their independent evaluations into the system and depending on the agreement of these grades, and the weight and quality of the diamond, it may be sent to additional graders who enter their own color opinions. The grade is not determined until there is sufficient consensus. To provide a universal basis for diamond color comparison, GIA gemologists assembled a set of masterstones representing the color grades on the GIA scale. Each masterstone in the set represents a letter grade. The masterstones are positioned in left to right order in the grading tray, with their tables facing down. 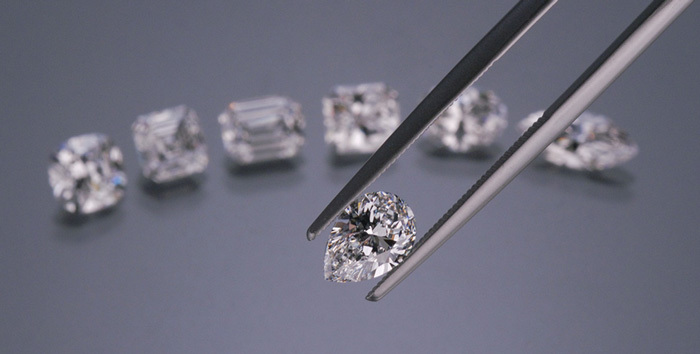 Diamond clarity is graded under standard viewing conditions with 10x magnification. 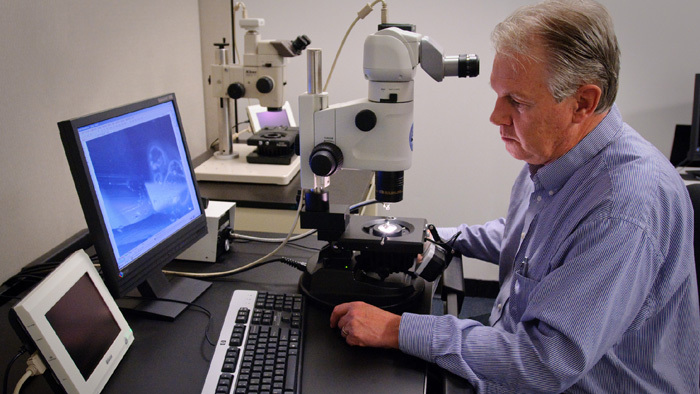 The preliminary grader carefully examines the diamond in order to identify clarity/finish characteristics and evidence of any clarity treatments such as fracture filling or laser drilling. A minimum of two graders assigns their impression of the diamond’s clarity, polish, and symmetry. Next they plot the clarity characteristics on the diagram most representative of the diamond’s shape and faceting style. A grader in GIA’s laboratory examines a diamond’s clarity characteristics under magnification. 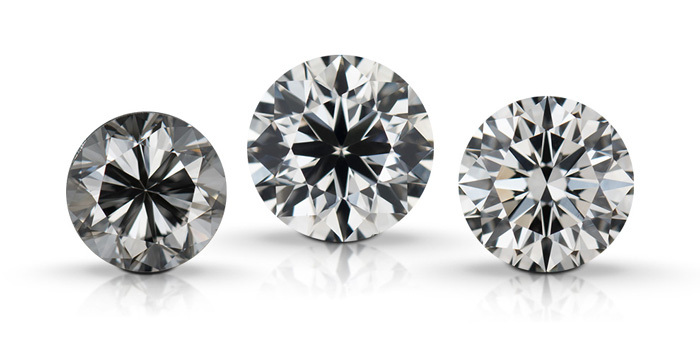 GIA provides a diamond cut quality grade for standard round brilliant diamonds that fall into the D-to-Z color range. 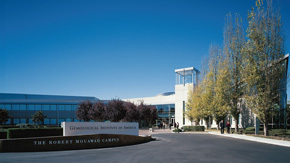 To develop their Cut Grading System, GIA performed extensive computer modeling of round brilliant diamonds over a 15-year period and conducted more than 70,000 observations on actual stones to validate the research. This system can now predict the cut grade for more than 38.5 million proportion sets. GIA’s Excellent to Poor Cut Diamond Grading System assesses the diamond’s overall face-up appearance to predict the intensity levels of brightness, fire, and scintillation (the diamond’s sparkle and interplay with light). GIA also screens every diamond submitted to determine if it is synthetic. 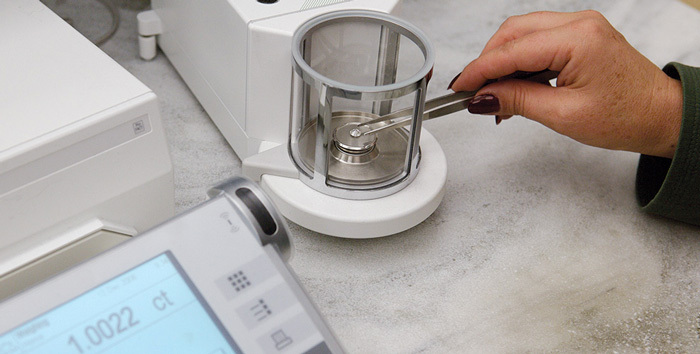 To determine diamond carat weight, the diamond is weighed using an extremely accurate electronic micro-balance that captures the weight to the precise fifth decimal place (the nearest ten-thousandth of a carat). An optical measuring device is used to determine the diamond’s proportions, measurements, and facet angles. A grader in GIA’s laboratory utilizes a scale to determine the diamond’s carat weight.